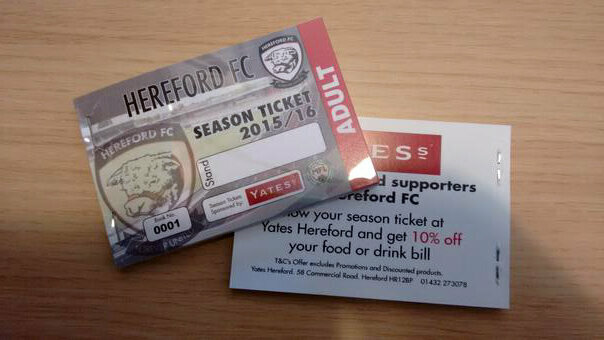 'Yates' Hereford FC Supporters Great New Offer! 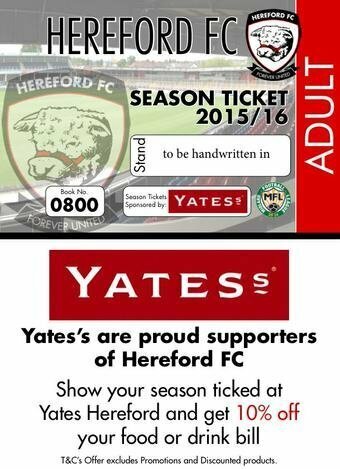 Great offer for season ticket holders. 10% off all food & drink whenever they show their season ticket even on non match days. Well done Yates good to see local support from a local business. Every little helps, good for Yates. Agree with Steve's comments above.